Welp, it's been a few weeks since my last gentle reminder nudge about the inexorable, incremental, slow-moving financial tsunami that is the PetroYuan. Ignoring it won't make it go away. Petrodollar will be showing signs of wear-and-tear in the very near future. We have been documenting the demise of the dollar hegemony for the past several years and the past two years the pace of the demise seems to be moving like a rocket. All the little details since the global financial meltdown in 2008 are now converging and one of the biggest pieces is now showing its teeth – the Chinese oil futures contract priced in yuan is growing in such a way that by the years end, at the current pace of growth, this contract will present a real challenge to the petrodollar. 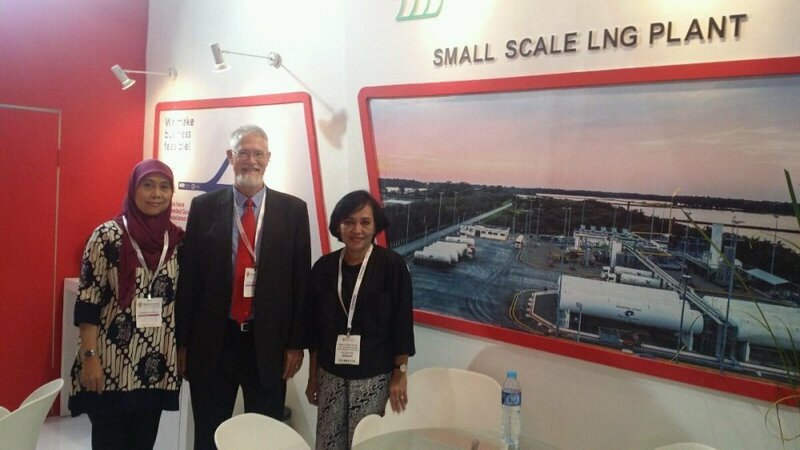 / Side note, I'm in Jakarta this week for the Gas Indonesia exhibition at the Jakarta Convention Center. Please feel free to drop by if you are nearby, and chew the fat about international oil & gas. Slow grow is the way. Here is the problem for the seller of oil: being paid in petro-yuan means you are being paid in a currency under attack, and which is undergoing a continuing devaluation. So you are getting a devalued price for your oil. Now, if you can turn that purchase money around into Chinese goods very fast - a big "if" - then it does not whack you for much. But if you start holding, or end up holding, those yuan as your foreign-exchange reserves, then you are holding a depreciating asset. Who really wants to do that? And that is why everybody continues to trade using the US Dollar as the currency. beware of self-interest of gold bugs (source of the article). I can envision reduction of %% of oil contracts denominated in USD but to a point - although China is the largest oil importer, its share in global oil trade is modest. They desperately trying to de-risk imports by moving to yuan but I doubt it will be a success if they continue to devalue it. No gold leaves China and there is not enough gold in the world (at current price anyway) to back oil trade - the largest commodity market by far. If the yuan contract is being traded, then not everybody, I guess. It's early days and the Chinese are persistent. I doubt the yuan has any chance of replacing the dollar in oil trade or anything, really, in my lifetime, but I can see it become more widely ised internationally if that's what Beijing has set out to do with it. Chinese currency is appreciating. 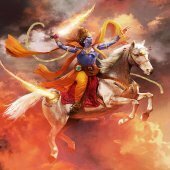 Just look at its value for last 3 years. China wants to ensure that the surplus in trade is nullified to conserve its natural resources and hence has begun to appreciate its currency. That’s a fake news, my friend. 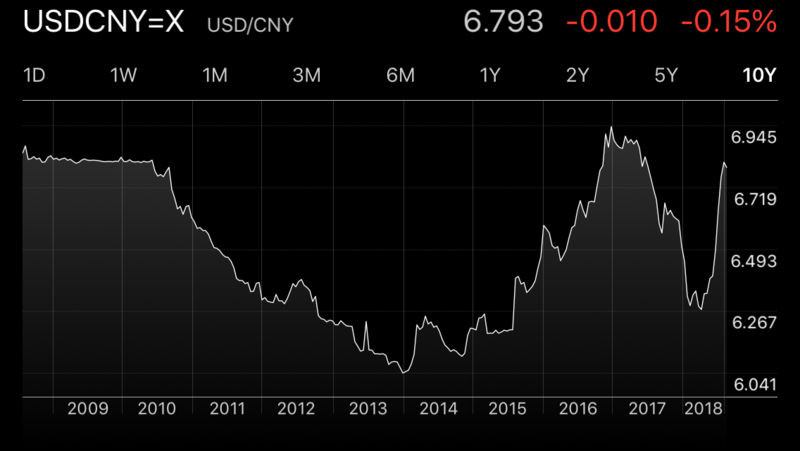 Value of yuan vs usd is same as it was 10 years ago and it dropped by ~10% over 3 year period. USA remains largest economy and compared to China - in a much better shape. That is not to say both are in pretty bad shape and amount of debt is unsustainable. China’s debt to GDP is ~3x of that in US. What consequences should we be looking for? Actually, before USA dollar became world currency, there was no international currency. But still the world worked well. Things like gold standard can be used to better control world currency instead of giving one country all the advantage. China's debt to GDP may be high but all of it is internal debt which it can easily manage. Internal policy change causing stagnation of economy can make chinese debt go down. But USA debt is external in nature and most of which in the form of loans rather than reserves. China, Japan, Korea etc have no business keeping hundreds of billions of dollars as reserves as these countries enjoy trade surplus. Debt reduction is deflationary in nature as money gets destroyed. Increase of USD value and interest rate differential likely to strengthen dollar more and wreck havoc in dollar denominated debt of developing countries. But I can’t really see how it will all play out - at some point 20 trillions injected by central banks since 2008 may result in price inflation (other than equities) and stagflation may ensue. Have to strongly disagree. Before 1944 it was the £ the Americans basically stole it as they knew the power it gave them and Britain by that time was unable to stop them as they were ruined by WW2. It was arguably when the fading British Empire handed over thier last piece of world control to the US. Debt reduction is deflationary in nature a﻿s money gets destroyed. Increase of USD value and interest rate differential likely to strengthen dollar more and wreck havoc in dollar denominated debt of deve﻿loping cou﻿ntries. This makes sense. As US debt is reduced, the USD strengthens, which hurts those who borrowed lots of $$$ during the low interest rate period (which is just about everyone), because now they have to pay back the money with the stronger dollars. However, this should only hurt companies that get paid in other currencies, but then have to pay back their debt in USD. Companies that earn USD shouldn't be affected since their earnings will strengthen along with the USD. Maybe this is why emerging markets have not been doing so well. I guess global recession is coming, well, by 'global' I mean: every country except the one that can print USD. I guess global recession is coming, well, by 'global' I mean: every country except the one that can print USD. I do not think US will be spared as their economy have many structural issues which were not addressed since 2008 but papered over with QE money. Amount of debt in many sectors in unsustainable and at some point it cannot be serviced, not with rising interest rates anyway. Student, auto, consumer, shale oil - all borrowed through the roof. Fed deficit increasing by ~$1.5T/Year and debt exceeds $21T. I'm expecting reversal or rate increase (unless of course federal reserve bank will be used to trigger recession and remove Trump) and start purchasing of bonds and equities much like BoJ does. It cannot be sustained in a long run and monetary system have to reset. What role China play in it remains to be seen. They are growing strong but not free from imbalance in economics and a lot of dead weight in financial system. Once they clean the house (assuming it can be done without mass revolt) - they are in a good position to play a role in a new monetary regime. We can only guess what it may be. USA became world power due to the manufacturing capabilities. After WW2, USA gave loans via marshall plan. But now USA is a net debtor. So,things have changed. USA debt is essentially funding USA. It is different from credit of 1950s. USA became a world power by manufacturing, just as Japan did post WW2, but to take over as the top one they had to surpass the British Empire and taking over as the world's reserve currency pushed them into top postion, The Marshal plan just pushed the UK further down and kept them servient to the US it was not the turning point. Have a look at all the previous reserve currencies of the world, the £ was not the first, and they were always the strongest country or empire. Now the US is heavily in debt to China, like the UK became with the Marshal Plan, but China is not in control of much but if they can control the reserve currency they can take control of world trade. Sorry not understanding your point. I have stated having the reserve currency is how you can control trade are you agreeing or saying military control is more important? Assuming I'm correct, one might argue that the Petrodollar has only encouraged harmful policy. With more money availabl﻿e, US politicians have created a pool of dependent voters, gutted industry, and swept long-term problems under the rug. The longer this continues, the worse the eventual pain﻿ will be. Could it be a﻿﻿﻿rgued that ending the﻿ petrodollar, sh﻿oc﻿ki﻿ng the natio﻿n with a little inflati﻿on, and f﻿orcing politician﻿s to address﻿ r﻿oot causes would ﻿be the best outcome? I agree that forcing politicians to address root causes would be a good outcome, but I want to disagree about ending the petrodollar. Ending the petrodollar is a terrible idea, but not for the reasons most would probably suspect. The petrodollar gives the US the ability to fight wars with money, ie: via imposing sanctions. Sanctions happen to be really painful for the enemies of the US and really profitable for the US bankers (since the sanctions prevent that money from being withdrawn from the bank, that money can then be used to support the bank's fractional reserve, which allows the bank to lend out additional cash which then earns that bank additional interest). So, without the petrodollar, the USD would likely lose its status as the world reserve currency, and if that happened, the US couldn't use profitable means (such as sanctions) to force other nations to play nice with each other, and the US would instead be forced to use very unprofitable means to do this, such as war. No one wants world war 3, and right now, the only thing that is preventing world war 3 is the petrodollar. Other nations call what the US does "bullying" but it is really just the US policing the world and preventing everyone else from killing each other. Before the petrodollar = continuous war in Europe that goes all the way back to Rome. After the petrodollar = zero wars in Europe. The only conflicts that have occurred since the petrodollar has ruled were those that happened in 3rd world countries, which are places where sanctions have a very limited effect. The US might look like a bully, but at least they are a relatively fair bully. Now compare that with how China operates. Just look at how China has mistreated businesses around the world for the past 30 years, stealing their tech, lying about it, playing the victim, and then stealing more. They run up a $375 billion trade deficit with the US and then they have the audacity to claim that they are the victim and that the US is the aggressor! That is insane! The only thing more insane is that some people actually side with China over the trade war. After all of this, do you really want to make China the world police by replacing the petrodollar with the petroyuan? The would be like taking the badges away from the cops and giving those badges to the robbers. Honestly, world war 3 might be preferable to the China world police. The petroyuan needs to be crushed, and crushed hard. And it needs to be crushed now. Trump had better write up those $200 billion tariffs soon, and then make an excuse to follow it up with the full $500 billion. What about the petroeuro? They EU acts just about as bad as China. They have set up an almost impenetrable trade barrier through the VAT tax, and they have even managed to trick economics professors to join them in their tirade of economic destruction against US businesses, which has had the end result of around $150 billion trade deficit with the US. But the worst part was when Trump suggested that all nations should remove all barriers to trade, and the only thing that could be heard in response from the EU side were crickets. This means they know exactly what they are doing to US citizens. The only ones who seem to not realize what is happening is the US citizen, himself. Honestly, if you want to get rid of the petrodollar, what would you replace it with that wouldn't result in giving criminals the world police badge? I don't think I even need to mention the possibility of replacing it with the petro-ruble. Russia has recently divested themselves of most of their USD reserves because they can see the writing on the wall. If enough nations try to bypass US sanctions by trading Oil-for-anything with Iran, then the US will respond by sanctioning anyone involved, and this includes Russia, who will be the key player in the deal (which is why Russia needed to eliminate their USD reserves). If these sanctions fail, and they probably will, then the US will invade Iran and put a stop to all of this the old fashioned way. The US will manage to invent Iranian nukes in order to justify it, too, just like they invented WMDs in Iraq. I really hope I am wrong about all of this, but I just can't see much of a possibility of it playing out any other way. The only way to avoid the war in Iran will be if Trump can get Putin on his side since Russia will likely be the main distributor of Iranian oil in the face of US sanctions. Now that Russia no longer holds USD, if the US appreciates their currency, then that would put recessionary pressure on Russia, and maybe force them to play nice for a change. I see this as unlikely, but it could work, and save a lot of lives in the process. But the US can't appreciate their currency until they start throwing around a whole lot more tariffs. All I can say is it is going to be an interesting next couple of years. Agreed. That is a big picture, world view sized, astonishingly well summarized look at the realities as they exist today. Well stated, Epic. Military control leads to supremacy which in turn leads to reserve currency. Military control also helps in controlling production of goods and raw materials. So, economy is revolving around military and not other way around. This is what I intend to say. About replacing oil, there is no replacement. But once oil runs out or exhausts greatly (90% reserves depleted), there will be no universal currency. Reserve currency is needed for global trade which in turn relies mainly on oil - either for transportation of chemicals. So, when the oil runs out, petrodollar will be meaningless and it will be multi-currency. In 1944, USA had given loans and hence gained control over currency. USA was the only military ower that had not been damaged in WW2 which made USA the default superpower. The vast resources and manufacturing of USA flooded the world to rebuild it. Even then, many countries did not accept US dollars as reserve currency. It was just the dominant currency. USSR rubles were also used similarly by 1950s. China had its own currency and would not trade in dollars either. Many countries in Middle east used rupee as currency pegged to India. In 1944, USA had given loans and hence gained control over currency. You quoted the Marshal plan as the reason the $ became the world's reserve currency at the beginning of the discussion it did not come into effect until 1948 whereas it was 1944 that the Bretton Woods Agreement came about making the $ the worlds reserve currency instead of gold now you are saying military power was what decides who gets the reseve currency title. I remain confused and stick by my point it was the Bretton Woods agreement that spelt the end of £'s reign as the reserve currency.. But once oil runs out or exhausts greatly (90% reserves depleted), there will be no universal currency. I have to strongly disagree on that as well oil will never run out it will become too expensive to produce maybe but there is a lot of substitiuon that has to take place before that. One example below of the oil yet to be commercially produced. Occupying an area the size of Ethiopia, roughly 1 million square kilometers spreading from the Russo-Kazakh border to the Kara Sea along Western Siberia’s most prolific oil fields, the Bazhenov Suite has been keeping Russian geophysicists awake at night for more than 50 years. Although it is one of the most researched subjects in Russian petrogeology, there still is no authoritative estimate on Bazhenov’s reserves (most reasonable located within the 15 to 20-billion-ton interval) and will not be for some time. There is no unified method for the quantification of Bazhenov reserves, moreover, most oil discoveries within it were carried out on a rather hit or miss basis. Yet we know a lot already about the Bazhenov Suite - the 70 known oil fields in the Bazhenov Suite are located at depths ranging from 600m to 3800m, while the thickness of the Suite mostly ranging from 20 to 40 meters, with an organic matter content of 16-17 percent. The probability of hitting the rock-fracture zone with a standard vertical well is quite low - all companies have opted for multistage hydraulic fracturing as primary means of extraction. It remains to be seen how commercially viable RITEK’s attempts with the pyrolysis of kerogenic shale will be. I would use the words "less costly". This is the most noble purpose of government, with the emphasis on the word 'fair.' As long as the US can maintain a general sense of fairness among the nations, then they ought to be in charge, and all other nations ought to support the US in this endeavor. As Jan mentioned in a different post, there is a fine line between nationalism and mercantilism. In both systems, the nation works hard to help its own citizens, but only in nationalism does it put the concept of upholding fairness ahead of the concept of helping its own citizens. In Mercantilism, fairness is thrown out the window so that the nation can more effectively help its own citizens, but that enhanced level of help comes at the expense of the people of other nations. This bias then eventually devolves into revolutions and war. Nationalism, on the other hand, when it is properly limited to fairness for all, creates a longer lasting and more secure peace. The confusing thing is when the citizens somehow feel wronged (or are "convinced" via clever marketing campaigns that they have been wronged) by their own nation simply because that nation is attempting to uphold fairness, seemingly at the expense of their own citizens. But this is really a misnomer, since the lasting peace which results from the upholding of fairness provides longer-lasting economic benefits for their citizens than the temporary, short-term benefits that would have resulted from mercantilism. The longer-lasting benefits of nationalism (read: 'fairness for all' or 'justice') are often overlooked by short-term thinking citizens, and so they become positive externalities that are otherwise ignored when it comes time to vote, which is why it is so easy for nationalistic countries to devolve into mercantilistic ones. Worse still, those nations which have devolved are often unaware of this due to their own personal bias which always favors themselves. Self-favoritism is a natural occurrence among humans, and so it shouldn't be scorned so much as it should be watched closely. Anyway, this was just a long explanation as to why the most fair nation ought to rule. It was also an explanation that sought to explain why it is so hard for nations to maintain fairness when dealing with other nations (the pull of mercantilism's short-term benefits is just too strong). It should also be viewed as a warning to those who believe the purpose of government is to help those in need via social programs. The establishment of social programs is not and has never been the primary purpose of government. The purpose of government is to maintain fairness. In contrast, it is the purpose of people to help other people. ^The story of every government since the establishment of Damascus. Although, in defense of our leaders, failure is the most fundamental nature of humanity. So, the fact that our leaderships fails us is just as much our fault as it is their fault. I can illustrate this with a simple fact: almost everyone I know has a Netflix account. In comparison, I've met almost no one who has read the Federalist Papers. Cancelling Netflix would easily give people enough spare time to read the Federalist Papers, but they don't, despite the political benefits that would result if many people did this. Of course, you can replace the word 'Netflix' with any form of entertainment: video games, TV, Monday Night Football, playing cards, six-flags, social media, even the library. I'm off topic now, but I have an interesting story about libraries. So, back in the late 50's and early 60's, there was a big push against libraries. It was because libraries were filling their shelves with fiction. The argument was that if libraries fill the shelves with fiction, then people would spend more of their time reading the fiction instead of reading the educational material required to create quality citizens who would benefit the nation both economically and politically. The counter-argument was that people wanted to read fiction, and that by having fiction available, then it got more people reading. The one side was looking at a short term solution to a long term problem: get people to read now. The other side was looking at the problem: a lack of quality education today means political danger in the future. For instance, Thomas Jefferson (a smart guy), once stated (and I am loosely paraphrasing here) that the Cyropaedia is required reading for everyone who votes. Yet, if you were to ask the average US teen today which they would rather read, Harry Potter or the Cyropaedia, well, I think you already know the answer. In fact, most people I've met have never even heard of the Cyropaedia, let alone read it. At one point in history, the Cyropaedia was one of the most read documents in US universities. Last time I checked, there wasn't a single professor at my local campus who had read it. Most had never even heard about it. And yet, you can take an entire semester course there on Harry Potter. Stabilizing 3rd world countries may be good for the Californians who built their businesses around importing, the ba﻿nkers collecting profits fr﻿o﻿m sanc﻿tions, and the firms enjoying che﻿ap labor﻿, but it's done nothing for the rest of us. 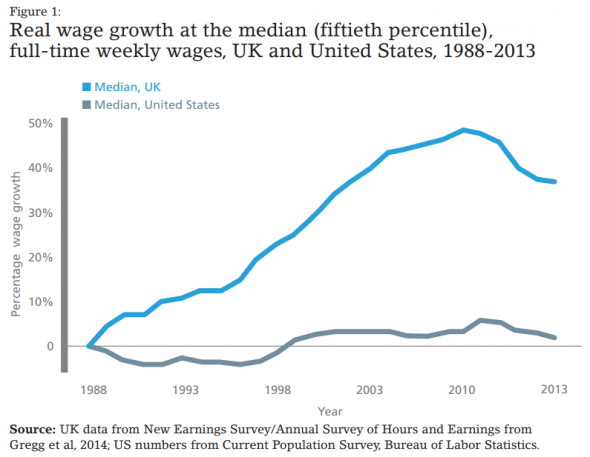 It has done one thing for us...it has put an end to US wage growth for the last 40 years. You are seeing the world from America’s perspective from the world’s perspective America has never fought in a war or supported rebels, sorry freedom fighters, or backed countries against other countries unless it was in their benefit. Nobody is asking America to challenge Iran, who pleaded with America to invade Iraq, who says the Palestinians don’t have a right to live in their country etc America acts as policeman for its own reasons the ordinary American cannot see what these reasons are because they are fed the American government lies that they are upholding fairness etc.. If America was truly keen to uphold fairness etc why were they reluctant to join WW2 Hitler was only rivalled by Stalin as a murderer of innocents but it took Pearl Harbour to get them to join. I hate to say this but your government sends your troops to die for their own reasons not any other government's. I'd argue that if we were fighting wars for our own benefit, we'd collect some spoils of war. Instead, we've consistently poured treasure into uplifting our defeated opponents. You'll have to talk to your president about that, for the Iraq war we tried to put our PM on trial for helping invade a counrty for no good reason and having hundreds of UK troops killed. Trump seems to have grasped that pleasing the world is a fool's errand and is refusing to suffer ingrates. Seriously look at all the wars America have started and try and work out who benefits. Iraq, Afghanistan, etc nobody asked them to interfere they just up and did it so there was clearly a benefit for somebody in America and unfortunately the UK helped them, you think America got nothing out of the wars what you think the UK got apart from bodybags and munitions costs at least American companies got the contracts to rebuild what was blown up, oh wait is there clue there to who benefits corporate America perhaps those guys with all the lobbists and what about all those weapon sales by corporate America to conduct the war do you see the problem? You need to start asking the questions of your past presidents. A good point of Trump is to make the rest of the world contribute to their own defence as he wants to stop being the world’s policeman only he has already come close to starting a war in Korea and is now having a go at Iran, Europe is even telling him not to do it with Iran so you cannot say he is not doing it for America as nobody else wants him to do it. American presidents kill American troops this one is shaping up that way as well, don’t shot the messenger.